As many of you will know, November has been claimed by many Diabetes organisations as a month to raise awareness of the condition. We are marking World Diabetes Day, November 14th 2011 in our own small way by turning our pages blue for the month. 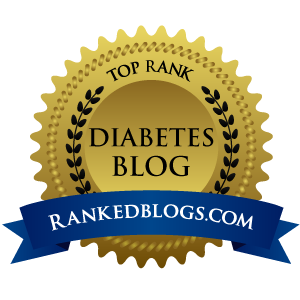 All over the internet there are little blue circles appearing - the international symbol for diabetes. 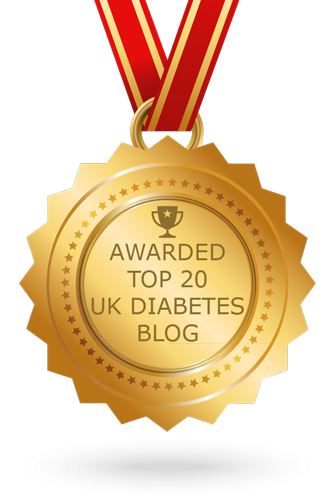 Yesterday I caught wind of a brilliant project being organised by Mike Young who runs the 'Diabetes in Spain' website. We are not the only ones, it seems laying claim to the month of November. A creative initiative called 'One Day on Earth' invites people to document their experience of 11-11-11 (the 11th of November 2011) through video or photography. Mike is encouraging those living with, or affected by Diabetes to share what it is like to live alongside the condition with the world by giving their submissions a diabetes twist. If you fancy taking part you can find details of how to sign up here: www.diabetesinspain.com/diabetes-11-11-11. First comfy cannula. When I went to see the DSN I was given some 'standard' 9mm Quick-Set cannulas. They seemed comfortable enough, though there was a constant low-level itch. I swapped one for another in case the first had gone in wrong somehow, and it felt pretty much the same. How was I to know how it was supposed to 'feel'? A few forum posts seemed to indicate that being constantly aware of the location of the set was not 'normal'. Last night I swapped the 9mm for a shorter 6mm cannula and bingo! About half an hour after insertion the initial tingly sensation has worn off and I cannot feel anything at all. No tenderness when I poke at the plastic surround on the skin. Nothing. I have not tried other varieties yet, but at least I know I can use these. Great! First 'free roaming' night. The very first night I popped Artoo in the pocket of my pyjamas. I don't usually wear trousers under the duvet, but instinctively felt some sort of containment was the way to go. It wasn't bad, but my legs got hot and Artoo kept falling out. Last night I initially started with the clip fixed to a loop around my neck (another forum suggestion) but didn't like the sensation of being a bit tangled. Early on in the night I dispensed with the loop/clip and just let Artoo roam free. This was by far the comfiest so far, nestling in the dent in the mattres around waist height. As I turn over from side to side I just locate, grab and shift to the other side in my semi-comatose state. First public display. I went to the gym for the first time this morning. Something I think every new pumper has to deal with is the attachment thing. How others might perceive you as different, even those you don't know, and whose opinion matters very little to you. I wondered if getting changed in front of others would make me feel a little self-conscious. It's normally fairly empty in the changing rooms when I am there but not today... oh no. The place was packed! Nevertheless when I lifted my shirt and detached Artoo no-one seemed to notice in the slightest. I've decided that since my workouts are usually under an hour I will, at least to begin with, detach Artoo and leave him in the locker while I exercise. I even used the little cannula cap thing this morning. But I'm not sure how long that attention to detail will last. Showered off with no problems... Man! that sticky tape stuff is strong. Buoyed by everyone's complete lack of interest on my way in, I decided to test the waters further as I changed after showering and deliberately struck up a conversation with someone while I primed the tubing and re-connected. Not even a flicker of an eyebrow. It seems that pumps, like injections in restaurants are protected by a Douglas Adams 'SEP field'. A cognitive filter which applies almost universally with perhaps the exception of some young children and a handful of adults. Because it is something inexplicable, odd and unexpected most people simply do not see the pump, even when you interact with it, merrily press buttons and make bleepy noises. Their brain edits it out of the visual field because it is Somebody Else's Problem and life is much easier without having to worry about what it is. So there we go. Artoo and I are off and running. 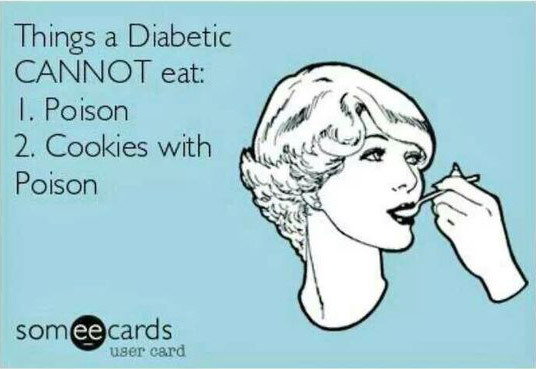 And I can't wait to get cracking with insulin next week. Not very long ago (yesterday in fact) in a clinic not very far away... the adventure began. Perhaps it is because I was eight years old in 1977? Perhaps it's because Dave and I have both been wrestling with the idea of turning to the 'dark side' for quite a while now? For twenty odd years I have been using daily injections as a replacement to my pancreas. As recently as a year ago I was absolutely certain that despite the hype, an insulin pump was not for me. Pumping had been first suggested to me in perhaps 2002 or 2003 and I really couldn't see the appeal. All the carb guesswork, differing levels of activity and million-other variables would still be there messing things up, after all. The consultant who suggested it could not explain to me why it seemed to work better, just that it did. Over the last two years I have worked, noted, tweaked, experimented and focussed on improving my control as never before. But as good as things ever got on MDI it was still not good enough. In the weeks running up to my Annual Review the choices seemed pretty clear. 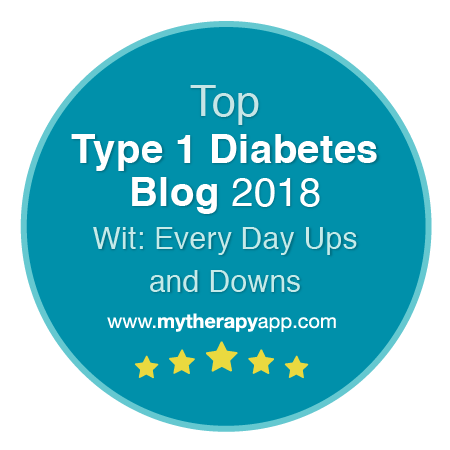 A small change (to a different background insulin) on MDI, or a big change to pump therapy to see if it would work as well for me as it seems to for everyone else. 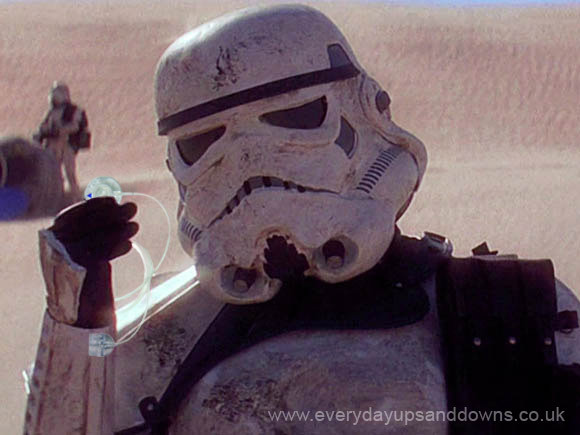 Whatever I did with MDI, the hypo-squashing, control-improving, BG stability promise of the pump would still be there. 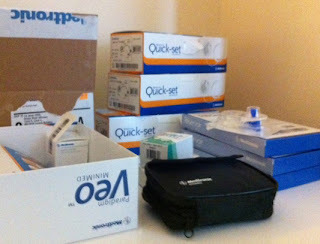 It was time to try Replacement To Pancreas #2 (r2-p2). So I'm typing this with a little robot counterpart attached to me. 'Artoo' and I have a long way to go. First impressions are pretty good. Though to be honest since I have nothing to compare it with, how can I know? The first cannula I inserted (with the help of the lovely LJ, the DSN in charge of pumps at the hospital I go to) went in fairly painlessly with Medtronics spring-loaded Quick-Set gizmo. I was told that they often itched a bit for the first hour, but that it should settle. Four hours later it was itching like crazy, especially when I fake-bolused some saline through it. I'm not sure I had expected to constantly feel the presence of a set. And of course it may just be that, given that these are the first few hours, I am just hyper-aware of everything and that it is just all in my mind. Nevertheless, having read the first chapters of John Walsh's brilliant Pumping Insulin, and given that my week on saline is in part about experimentation, I decided to replace it in case something had gone wrong with the initial insertion. The second try went pretty much the same as the first. Stung a little to start with - like an MDI injection where you nick a capillary except that it goes on feeling like that rather than going away in ten minutes or so. I've stuck with this one to see how things progress. I know different sets suit different people, it may just be that 9mm Quick-Sets are too long and 6mm would be better - or that I don't get on with the adhesive... or something else entirely. I think that's the thing that is striking me most. This is a Paradigm-shift (ho ho!). It's absolutely like being diagnosed again. I have no experience to tell me whether this or that 'feels' right or wrong. Whether this sensation is fine, or a signal that something needs to be looked at. It makes me very glad I have a week on saline to just get my head around the mechanics of it. I've at least two more set-changes to go before I go back to the hospital to get started on insulin. I'm going to experiment with a shorter Quick-Set and a Sihouette to see how I get on with those. If you are a veteran pumper with pearls of wisdom, or a wrestling with your own decision about pumping it would be great to have your comments.